Develop a strategy – The first step on the road to export success is to develop a strategy and be clear about the reasons why you’re exporting. Which of these applies to you? 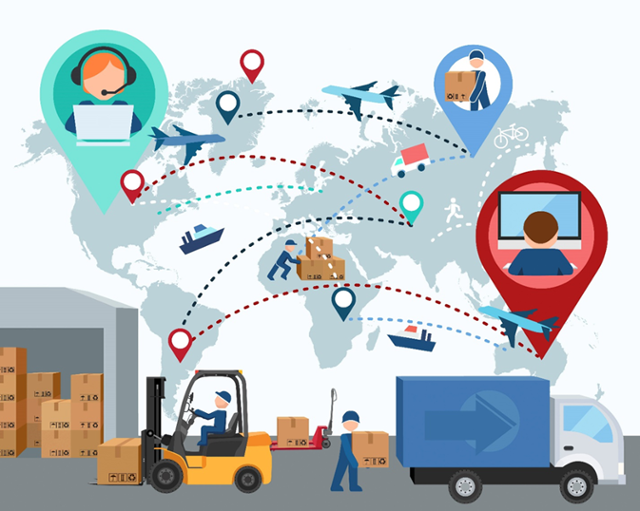 Identifying your reason(s) for exporting will ultimately help you to put the infrastructure in place to execute your strategy and commit to it. Consider the impact of exporting on your business – Don’t fall into the trap of seeing £££ signs from increased sales. Before the orders come pouring in, you need to ask if you have the resources, and the commitment, to support your efforts. You need to identify any new skills needed by your personnel to handle new business and establish to what extent your business can operate in the local currency and language. Equally, you need to be honest about your capability to manage and motivate an overseas sales team. What risks do you need to address? – Language, currency and cultural business practices can all prove to be sales blockers. Equally, distance payments can be lengthy and problematic. Be aware that delivery cycles could be longer than you’re used to, while the sales chain might also be longer, with banks, carriers, insurers and regulators likely to be involved. How do you want to pursue opportunities? Do you just want to encourage orders from foreign traders on your UK website or via web traffic? Do you want to set up multiple websites for each territory you want to penetrate? Do you want to work with experienced international intermediaries? With each of these options, time and cost implications need to be taken into consideration. Which territories are worth targeting? - Identify your target market and establish which products or services are most likely to perform best on the international stage. Be sure to choose markets that give you scope to grow. Simply trying to sell into a country that has a very different outlook on business, compared to the UK, is not an ideal way to start out in exporting. The territories you target will be a decisive factor when it comes to export marketing success. Determine your objectives and your budget – Be clear on your sales targets and what you’re hoping to achieve in terms of turnover and profitability. Outline an export budget, which includes how your initial expenses should be allocated and an estimated projection of when you expect to see a return. Come up with a plan on how to manage your exports – Will you appoint someone to head up your export efforts? How much time will you allocate for senior staff to push exporting? Be sure to have the required equipment, systems, procedures and processes in place to accommodate your international orders. Discuss how you will organise marketing, sales and delivery to your export market(s) and outline your terms of trade, inclusive of your delivery terms and payment methods. You can then use your export plan as an active management tool, which can be updated on a regular basis. Get help – Translators and mother-tongue speakers will prove to be a valuable asset for your exporting efforts. Equally, you can use platforms such as exportworldwide.com as a route into export. 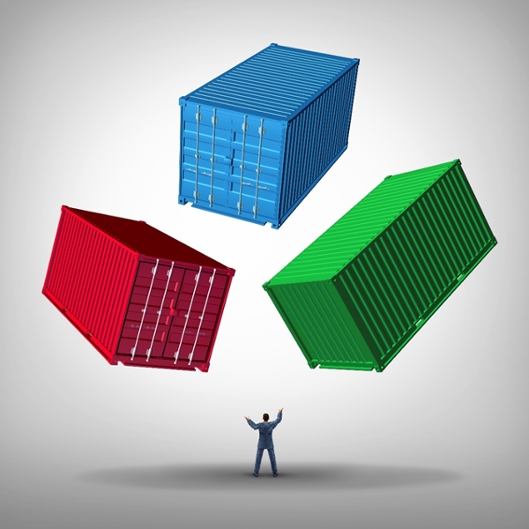 Don’t be left juggling your export commitments. Research your potential markets – Be thorough in your research and keep abreast of international trade figures and identify where demand is highest for your products or services. Talk to your chamber of commerce about attending any events relevant to export or where you can put your business in the line of sight of international traders. You can even commission market research, with organisations like UK Trade and Investment (UKTI) covering 50% of the cost. Market research also represents an opportunity to assess any competitors. In fact, if there are competitors in the marketplace, it’s a good indication that there’s a market for your type of product or service. Analyse competitor websites and marketing material, using them as resources and lessons in how to market your business. Can you sell direct from your website, using direct mail or via trade shows? You may look to recruit an agent, which could be an inexpensive option. However, you would have to be careful with the type of agreement you establish. Alternatively, you can rely on an online marketing platform, which for a fee, you can use and manage yourself, or have the provider manage your account on your behalf. You could also look into selling to a distributor who buys goods from you to sell on to their customers. Export Worldwide enables you to boost and manage your international marketing efforts all in one place. 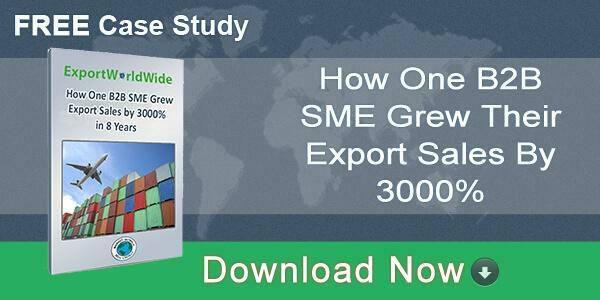 The advantages of exporting for your business extend beyond generating new leads and increasing revenue. Exporting exposes your business to a level of growth that’s not necessarily as achievable through selling in one market. The added value of exporting is that it will increase your credibility and raise the profile of your business. Plus, selling into overseas markets will increase the commercial lifespan of your existing products and services. Exporting will also open your eyes to new ideas, allowing you to enhance your products or services or develop totally new concepts to suit specific markets. These benefits and more are available to your business. International trade is not as complicated as it appears.